I was gifted a new puzzle and math book by a friend today – Professor Stewart’s Cabinet of Mathematical Curiosities. This is a puzzle from this book, appearing on Page #6. Thanks Shalu for the book. However, I do not want any old arrangement. I want each card to be the difference between the two cards immediately below it, to left and right. For example, 5 is the difference between 4 and 9. The differences are always calculated so that they are positive. This condition does not apply to the cards in the bottom row, you appreciate. The top three cards are already in place – and correct. Can you find how to place the remaining 12 cards? 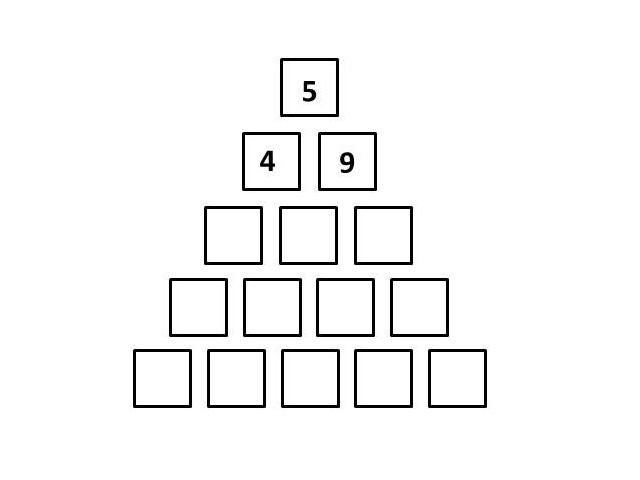 Hint: For younger children, try the same with fewer rows (and corresponding numbers) – try with three rows or four rows as well.